The reality is now that network infrastructure and the servers it connects is of paramount amount to businesses in the modern world. Data processing, storage, and other critical aspects of your business’ apps and websites are task that are undertaken by these amazing machines. They do this 24 hours a day, 7 days a week, and 365 days a year and most of the time they do without even so much as a hiccup. That’s not just as it is, though. Servers do require some maintenance to prevent them from failing unexpectedly. Businesses will often neglect to supervise and maintain their servers when a network server is in place, but there are risks to doing that. Here at 4GoodHosting, part of what makes us a top Canadian web hosting provider is our unwavering focus on providing our customers with rock-solid hosting backed by an uptime guarantee. 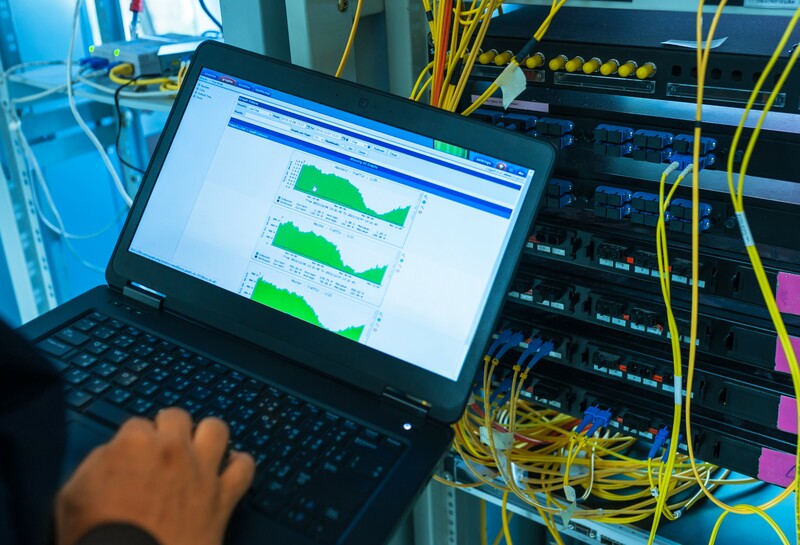 The means by which we’re able to offer that guarantee is the same dedication to network maintenance that others who are entrusted with data should be following themselves. Today we’re going to discuss tips that go a long way towards having servers that can be relied upon the way you need to rely on them. To start, keeping a watch on the servers running status is important. The faster you can detect any outage or slow components, the better it will be for you. Simple maintenance and monitoring can prevent a server failure from degenerating into a disaster and taking your entire IT infrastructure offline. In this instance of a worst case scenario, an unexpected server crash, or other disasters, backups work act like a safety net to restore service with minimal downtime. It is entirely necessary to maintain local and remote backups for added security and being able to keep your business up and running online while the situation is corrected. Check that redundancy or scheduled backups are working and it is wise to run test recoveries of system logs before deleting critical data to ensure the back up of it has been successful and occurring in the correct location. Monitoring your disk space is an essential part of effective server maintenance, as it is one of the most important server resources. Server process monitoring can assist with detection and control of resource-extensive processes that consume too much of that valued disk space along with outdated software that may cause security issues. It is recommended that you not treat your production system as an archive. Your server is not designed to store historic emails, sensitive account information. Deleting all old logs, emails, and software versions no longer used is the best choice. Obsolete accounts left in the server take up disk space and consume bandwidth, and then there’s the fact that they are preferred entry points for hackers. Audit server files and accounts periodically for optimal server health, and trash obsolete accounts and unwanted files from the server in a timely manner. Servers are kept in top form when you perform software upgrades, including security and performance audits regularly to prevent server failures and protect against zero-day vulnerabilities. Neglecting to update a system can open it up to security breaches and the same goes for web-based software and software applications. Keep tabs on websites and user forums, and ensure services and software are up to date with the latest stable version of the software. Updating web applications, like WordPress or use automated patch management tools. Read documentation to confirm that all updates are system compatible. Update server control panels as required too, along with the software that controls it. Simply updating the control panel will not revise the underlying Apache and PHP versions of your OS. Reviewing logs for any disk read errors or failure notices, overheating notices or other signs of hardware problems can provide early indicators of a potential hardware failure that could disable the server. Checking the logs can provide insightful feedback about server activity and performance. Preventing failing processes from developing into bigger issues is made possible, and monitoring must be integrated into an automated process with warnings and errors organized and sent as regular notifications. Any of the many free performance monitoring tools are great for monitoring and reviewing how your server’s disk, CPU cores, RAM and network are being utilized. For instance, CPU utilization indicates the amount of CPU time used by web applications when processing a request, indicating the processor’s capacity currently in use. Installing a systat on Linux servers is an easy way to get baseline performance data. Evaluate the system as a whole instead of only considering a single component for finding the true performance bottleneck. Nearing limits is usually the result a problem with your application or a capacity deficiency of the host machine. You then add resources to your server or migrate. We likely aren’t the first to tell you to regularly change your password every couple of months. Strong passwords are a combination of upper case and lower case letters, numbers and special characters. Passwords should be at least 8 characters long and dictionary words should be broken with a special character, for example – pho@to. Hackers stealing valuable data happens with increasing frequency these days. Your server doesn’t operate in a vacuum, so securing the server alone won’t keep it safe. Update antivirus software on connected devices and any hardware linked to the server. The anti-virus software must be scanning all content as it enters your server environment, and a-v programs in VPS systems should be able to function without Kernel access. Enable automatic database updates along with regularly scheduled antivirus scans to reduce risks and to keep your server in good health. More generally, it’s important to be in the know about your system. Use of automation and modern network monitoring solutions can review everything from system vitals to hardware configuration quietly and present a comprehensive report for your regular review. Automated alerts based on predefined thresholds boost risk visibility, making it simpler to gauge server health and contribute to a more stable infrastructure. An advanced live web security system, like SecureLive, can guard against any malicious activity on the site and many of them even have the ability to report hackers to relevant authorities. There’s a lot riding on your server, and a little proactiveness can go a long way in keeping yours up and running at peak efficiency. We all know that effective SEO is gearing your website and its content to be responsive to algorithms determined in large part by Google. Being the world’s foremost search engine puts you in position to be the one who dictates what makes up good SEO, but for most of us that’s the lion’s share of what we know about it. Most of us know little about how those algorithms function, and even SEO experts are only adept with working in response to understood realities of how the algorithms work. Adding to the confusion is the fact there are significant changes every few years on account of search engine algorithm updates. Here at 4GoodHosting we have about as firm yet formative an understanding of all this as you’d find with most any Canadian web hosting provider. We do know the importance of being aware of the importance of SEO of course, and it is critical for any business with a web presence to be similarly informed. Google’s Penguin algorithm, which was rolled out first in 2012, revolutionized the role of backlinking in SEO rankings. Anchor text is one of the most important aspects of SEO in relation to backlinks. So, what exactly is anchor text, you might be asking. The visible, clickable words that appear highlighted in a hypertext link and used to link one page to another is anchor text. For example, if you created a link to a target web page with the anchor text ‘boat rentals Shuswap Lake” search engines will regard it as an indicator that the page being linked to will match a search query for boat rentals in the Shuswap area. The web is structured around such external links that lead from one site to another, or internal links that connect one page to another page within that same website. It used to be that a site’s rankings in search results were determined by the number of links pointing to that site AND the anchor text of these links. So it was then that many ‘black hat’ marketing practitioners tried to manipulate the system through link exchange and artificial inflating the numbers that suggested how often links were clicked-through. The Penguin algorithm worked very effectively to devalue these spammy links and thus discouraged websites from building links that relied too heavily on certain anchor texts. Nonetheless, anchor text still remains a critical off-page factor in determining rankings for SERPS generated via Google’s algorithms. Properly created and managed anchor text can improve the online visibility of your website, but putting it together sloppily or being too liberal with it may result in search engines deeming your site to be ‘spammy’ and penalizing accordingly. Certain words used within the anchor text ensures that your page will be ranked for the keywords you desire to have it SERPing for, instead of what Google thinks you should be ranked for. For example, anyone wanting to create a home page ranked for the term ‘inbound marketing’ would have to find ways to create links from other websites that contain both your home page URL and the keyword ‘lnbound marketing’ as anchor text. Then you have the option of creating links on other sites through blog comments, guest posts, social media sharing and etc. Backlinks built with solid anchor texts help search engine bots to better see and correctly evaluate the content of a page, and this in turn improves how well the page is positioned for recognition by search engines. Google views each link as a vote in favour for the linked ‘to’ webpage on the behalf of the linked ‘from’ webpage. Further, it validates all the constituents of a link “from” a webpage that are determine whether you’re qualified to be expressing your opinion of the link and the content it’s pointing to. Google compares the anchor text to your site’s content before making an assessment that some call a relevance match. Optimizing your anchor text helps add relevance to your brand and provides value to your audience; and by this you then increase the chances of your page and website ranking well. It is important to use anchor text the right way when building links. Only use appropriate anchor text to point to a specific page that has been optimized for that keyword phrase. The idea is to create ‘natural anchor text’ rather than always using exact match anchor text. Diversifying the anchor text by using variations like company name, phrase matches, naked URLs, synonyms or antonyms, etc, is advisable so that search engines don’t come to see it as an attempt to manipulate like those black hatters did before Penguin. 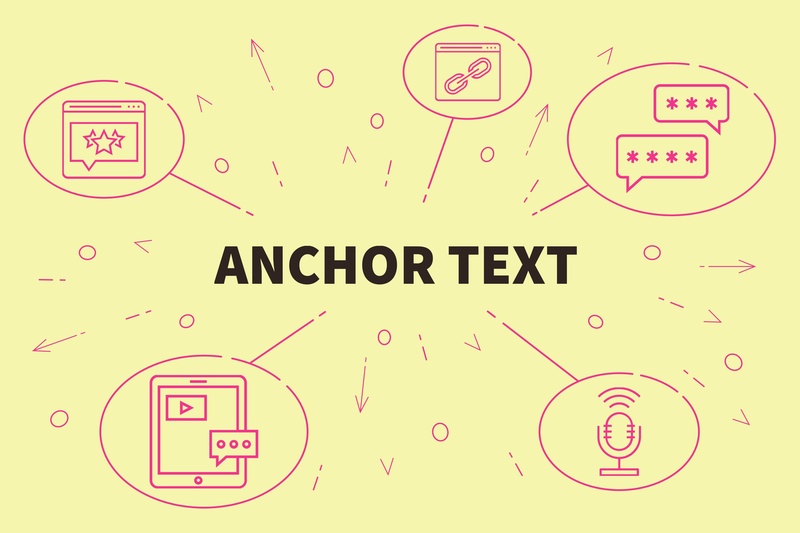 If the anchor text flows naturally within the content and links pointing to your site are offering tangible value to a site’s user as well as for users looking for information in search engines, then you will be nearly guaranteed to have better SEO and higher page rankings. Anchor text and other properly implemented SEO tactics go a long way in keeping you ahead of the competition when battling for position in the online marketing world. We have the expertise and experience to draw up an effective digital marketing strategy for your business, and ensuring high SEO rankings as part of the package. 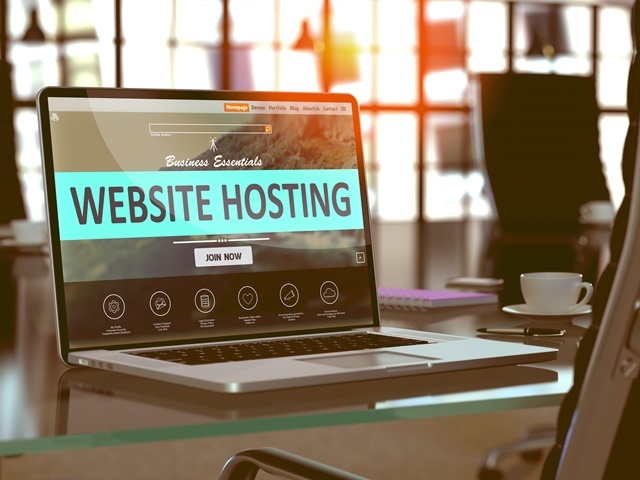 For the very few who might not been aware of its existence, a simple Google search of ‘web hosting’ will make it quickly apparent that there is the possibility of having your website hosted for free. That’s right, no so much as a penny will be required of you to have your site up and open on the World Wide Web for visitors to stop by and have a look over what you’ve chosen to display about yourself. However, as is the case with nearly every consumer service where you’ve got paid and unpaid alternatives you need to ask yourself the question; if the free option was every bit the equal of the paid ones, why would anyone choose to part ways with their money each month? That’s a legitimate question 10 times out of 10 in such a scenario, and when it comes to web hosting the answer is the same as it in almost any other – ‘Free’ hosting may be appealing, but don’t be surprised if you quickly come to find it’s not meeting your expectations and / or needs with what you have to have out of your website. The old expression ‘you get what you pay for’ comes to be true yet again it seems. We’ll say briefly that the best way to save your budget while building a website is to save on its development. Web design can be outsourced to anywhere in the world and it’s quite common to get quality work for a very competitive price. But enough about that, let’s get back on subject here. Fact is, choosing free web hosting is one of the most common mistakes many businesses make when beginning to develop their online presence. Finding a reliable web hosting company is an important step in delivering the best user experience to your customers. 95% of the time (and that might be conservative) free web hosting isn’t going to be reliable, either partially or at all. Here at 4GoodHosting, we’re a Canadian web hosting provider like several others who have made a name for ourselves based in large part on our ability to offer real reliability and uptime guarantees to our customers. To successfully deliver your content to viewers, you’ll need a place to store your files and that’s where hosting comes in. Remote computer servers serve as a source of storage for your information. Your host keeps your files safe and accessible, so your website can deliver the information you want viewers to see when someone opens your website. Most of you will surely concur that anytime you have signed up for something ‘free’ in your lifetime, 9 times out of 10 there’s a surprise something or other expense to be incurred somewhere down the road. Limitations aren’t usually mentioned in the sales pitches either, and you’re bound to not like any of them very much either. You’re then in the position of needing to pay an excessive service fee to get what you need, or are stuck with what you have and put at a serious disadvantage. Most free web hosting services limit the amount of storage available to your website, the bandwidth of your service, and do not allow FTP access. Upgrading your services for a much higher fee than most premium hosting providers offer is common in these scenarios when you’re now under contract. And yes, getting out of these contracts typically isn’t very easy. 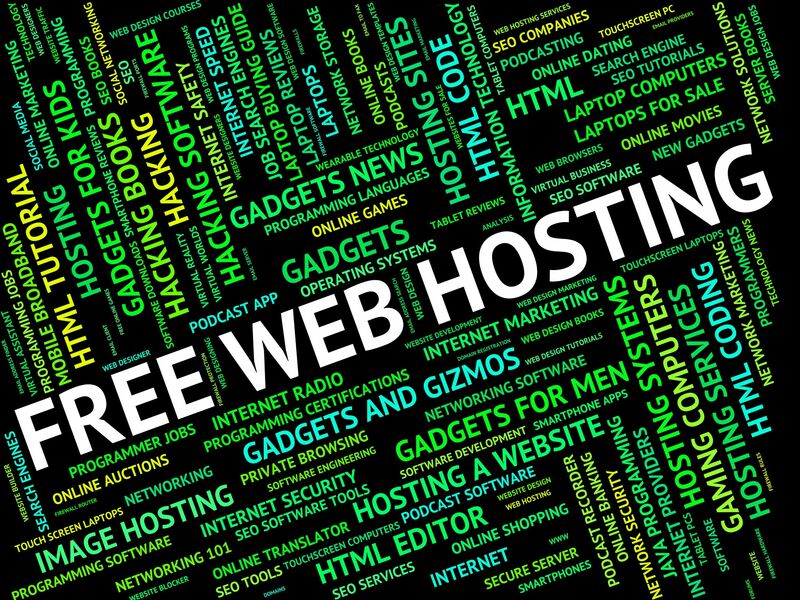 Many of the most highly marketed free web hosting providers are new companies themselves. The offer of free web hosting is made with the aim to draw in customers to pay for their other services. They’ll offer premium hosting for ‘free, before charging you for pricey services that make your hosting be more of the arrangement you had in mind, and with what your website and digital marketing objectives with it need. One of the major risks associated with this unreliability is that instability of the provider company usually comes along with it. Keep in mind that domains purchased or renewed through them will be lost if they suddenly go belly up – and many of them do. This will of course hit your SEO ranking right where it hurts. Trust us, you want to avoid this scenario! Most free hosting solutions have a knack for working tricky wordings into their terms of service. For instance, you might think that you own your website and your domain, but turns out you don’t. Then there’s instances where your hosting provider will own all your content in all likelihood. That means no selling your website, or your content, and republishing any of your work is a no-go too. Then, once you realize you need better services, it’s often a tremendous hassle to transfer providers. Those who can’t afford the upgrades needed from their free hosting provider won’t even be able to look for an affordable, reliable company, because you don’t actually own your website, your content, or even your domain. This means no transferring to a better provider. Not good. Most of them time website hosted through free website hosting are not scalable. If your business grows, your website will be prevented from doing the same. Most free hosting services fall apart big time when faced with high volumes of traffic, so you’re going to have to make sure you don’t have too many visitors when your site is hosted this way. That’s really going to hurt you, wouldn’t you agree. Make sure you’re not successful, how does that sound? Right then. Reliable web hosting in Canada is not particularly expensive. But more importantly it’s an investment in the security of your website and in your business’ future. If you exceed your limits with a premium hosting provider, more often than not you can upgrade your services at a fair and affordable price. And you don’t need to concern yourself with slow website speeds or downtime. That in itself is HUGE. Free hosting will only come with a few basic themes for your website design. You may be able to make small changes, but customizing your website or make improvements as your budget allows is probably out of the question. Forget legit domain names too, because you will likely be using a subdomain. We love WordPress, but WordPress hosting is a great example of a free hosting provider that limits your capabilities and often leaves you looking less-than-professional online. Clients who use the free WordPress hosting services often have a domain like biz.wordpress.com. We, and many others, can get you a top-level domain at a low cost and you can implement professional .com emails that go a long way to enhancing the appearance of your business. Consider as well that free hosting excludes plugins, so your website won’t be capable of executing many important website functions. Consider further still that you will likely have to deal with forced ads that are placed on your website and have no value for your business. After all, your free hosting provider is going to have to make their money by some means! We’ve now firmly established that your webpage can be saddled with slow site speeds, increased downtime, and look bad, but there’s a more serious impact this can have on your business. SEO is a major priority for business websites these days, and we don’t need to explain why. Investing in professional SEO services is always best, as it it takes time to build a solid online presence. Free hosting providers can promote negative impacts on your ability to rank well, if rank at all in search results. Google has implemented high standards by which only certain websites rank near the top of the first page. All the negative impacts listed above regarding free hosting make your website harder to rank because of its low quality when it comes to Google Standards. You’ll struggle mightily to get your business on the map when it comes to search engine results. This is truly the last thing you want when you’re relying on your website to be the primary driver of your online marketing efforts. Paid – and subsequently quality and reliable – web hosting gives you full control over your website, better SEO, a genuine professional domain, and a scalable website that has the ability to grow with your business. Now not toot our own horn too much, but at 4GoodHosting this is what we’re been providing to Canadians from coast to coast for more than a decade now. Something to be proud of for sure, and that’s the way it’s going to continue to be.